Another look here at some of our grounds that our friends and followers on Twitter have sent us in association with those good dudes down at Kingfisher. Prizes galore here - www.facebook.com/kingfisher or on Twitter @www.twitter.com/kingfisherbeer - so why not give them a follow...they go down a treat with this recent hot weather, I tell you. Keep sending us the pics of your beautiful cricket grounds, and we will put them all up eventually. Twitter account is @themiddlestump or we have a facebook page too now. If one hasn't got the time to mess around on social media, you can just e mail us at info.themiddlestump@gmail.com. We want to hear from you! 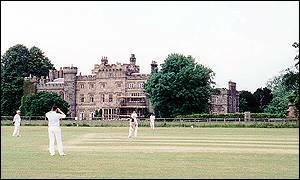 Firstly, we start off in beautiful North Wales and Hawarden Park cricket club in the grounds of Hawarden castle is an amazing venue. It was the home of Sir William Gladstone and Michael Owen lives in the village. I think I'd be injured all the time if I had such stunning scenery on my doorstep! 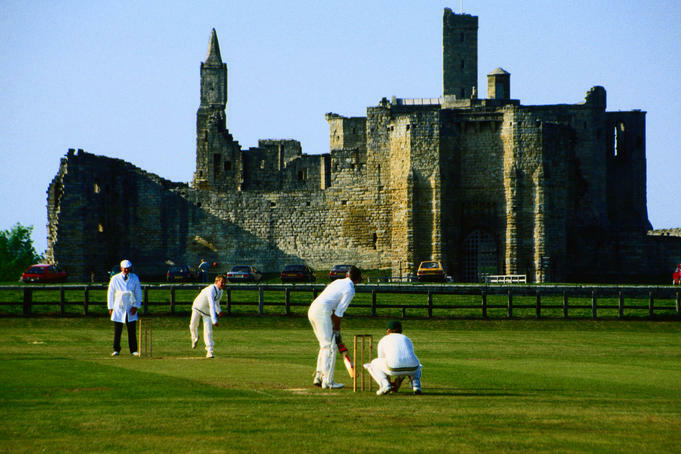 Secondly, we travel north of Newcastle, and this ground in Northumberland is the gorgeous Warkworth Cricket Club. A stunning view, however the castle looks like my home did, when I paid the builders the full amount up front and never saw them again! Whilst in Northumberland, here is a very similar venue at Bamburgh. With the North Sea in the distance this amazing venue isn't too far away from Lindisfarne, or Holy Island where the famous monks live. I can imagine the fielding team here pray regularly, that they don't get an easterly wind off the sea. A county ground now, and Taunton has always been one of my favourite grounds in Britain. A lot of grounds have a church overlooking them, but this has two. You get a raucous atmosphere in here, especially after about 4pm when the locals have had the odd glass of cider! Staying in Somerset, this is the beautiful Monkton Combe Cricket Club, which looks like an amazing venue. It has to be said that this county has provided us with some fantastic venues, as well as some fantastic cider. Like a good woman, the grounds get better with the more cider you drink! 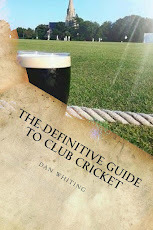 Please keep sending us your cricket grounds...and we'll keep running this feature. wheres Yorkshires ground and the one India and England played in today?